5°C, strong W, dry with some sun. I rode The Jake with MapMyRide+! Distance: 31.03km, time: 01:53:45, pace: 3:40min/km, speed: 16.37km/h. 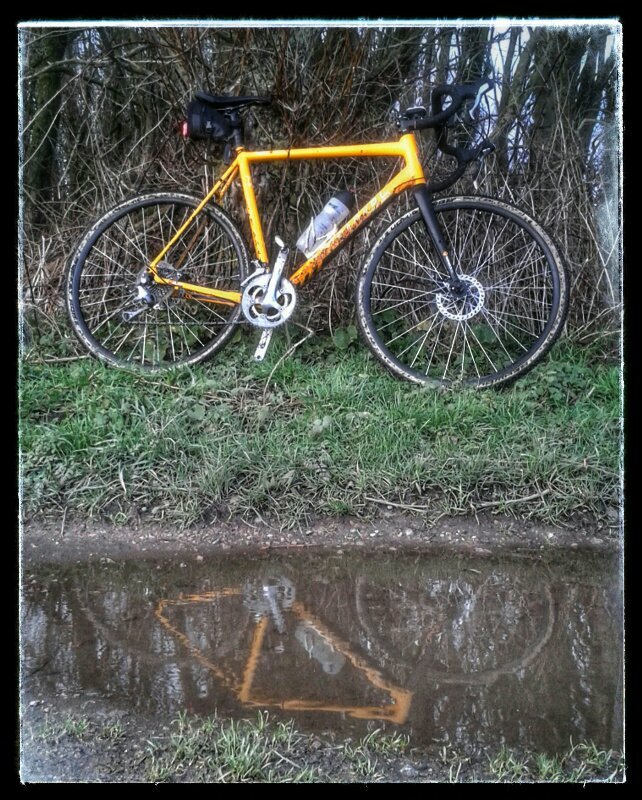 Very squelchy mud on the towpath today. These winter tyres coped well so I was glad I’d changed them. The photo shows a reflection in one of the numerous puddles. As an image, it hasn’t worked too well so I’ll try again sometime soon.